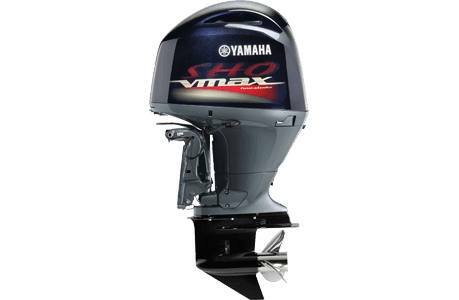 Unbeatable Reliability: The V MAX SHO® VF 150's Cowling Drain System and Air Intake Labyrinth System trap and drain water that enters the cowling during normal operation. 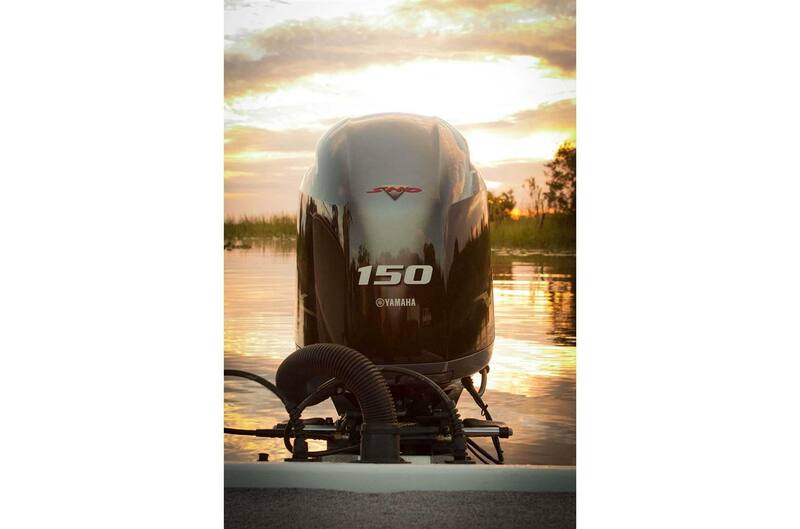 Quiet Power And Performance: The four-stroke, four-valve-per-cylinder V MAX SHO® 150 is able to maximize combustion efficiency in a way that no two stroke can, delivering clean, quite power and performance. 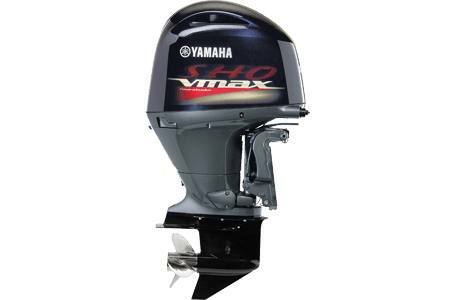 Tournament Toughness: The four-stroke V MAX SHO® VF 150 has a gearcase featuring specially hardened pinion, forward and reverse gears for increased reliability. 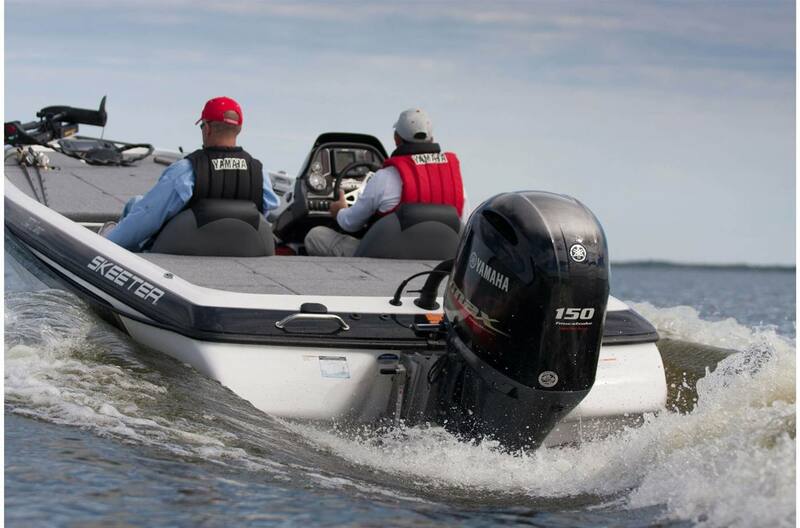 Great Hole Shot, Acceleration And Top Speed: The new V MAX SHO® 150 uses Yamaha's Variable Camshaft Timing System (VCT) for hole shot and acceleration that is noticeably quicker than that of the F150 and equal to that of the two-stroke VZ 150 HPDI. 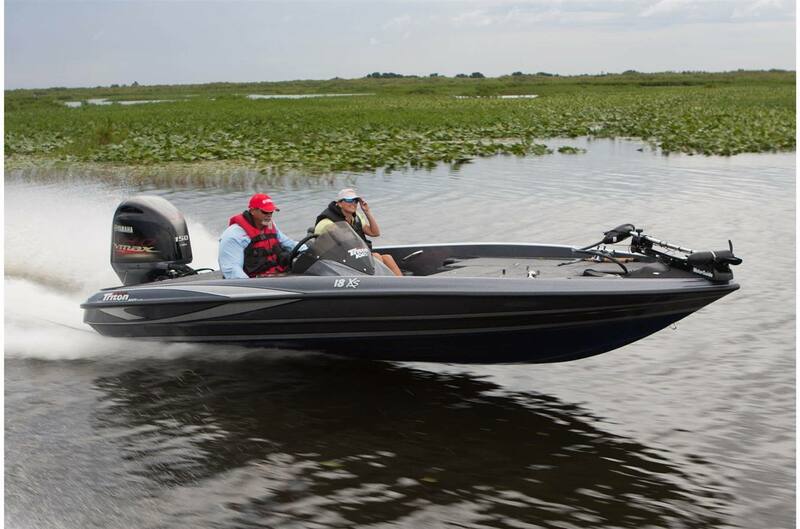 Smooth: The 2.8-liter, four-cylinder powerhead employs double-overhead cams, four valves per cylinder and counterbalance shafts for extra smooth performance. 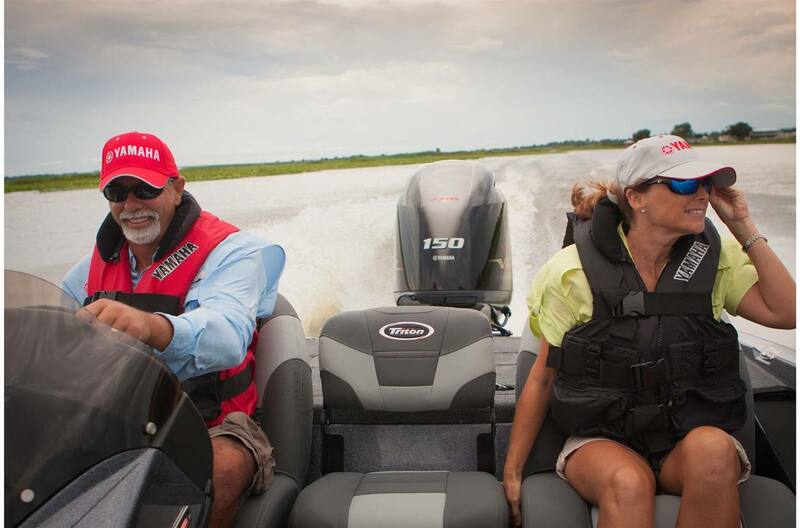 Fuel Efficient: The four-stroke V MAX SHO® 150 offers fuel consumption that is 30 to 40 percent better than that of traditional carbureted two strokes. 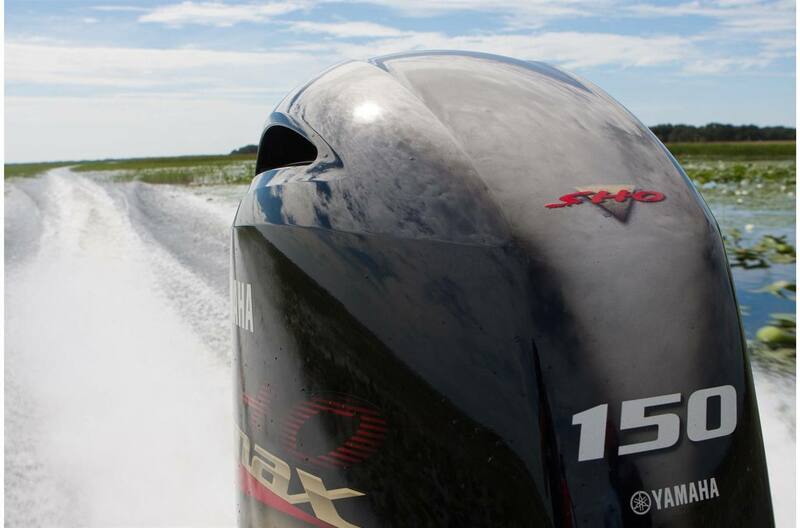 Extra Space: Because it's a four-stroke, there's no need for an external oil tank with the V MAX SHO® 150. 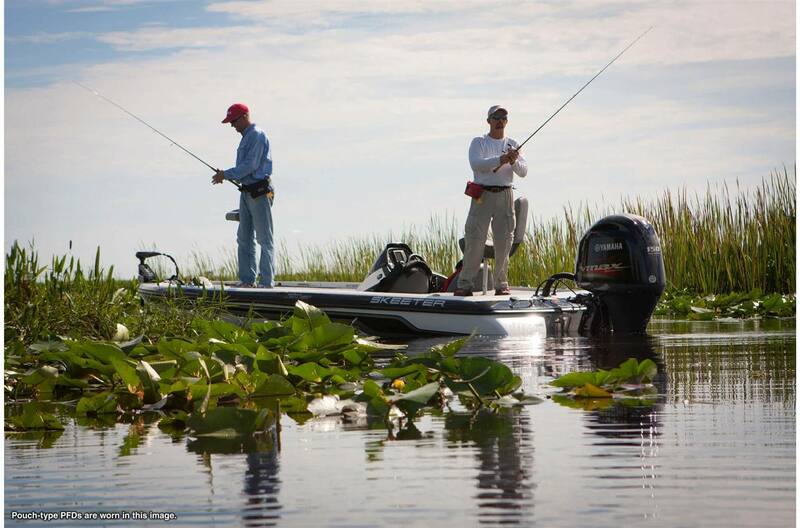 That's a savings of approximately 23 pounds - that means less weight and more storage room in the boat for tackle and other items. 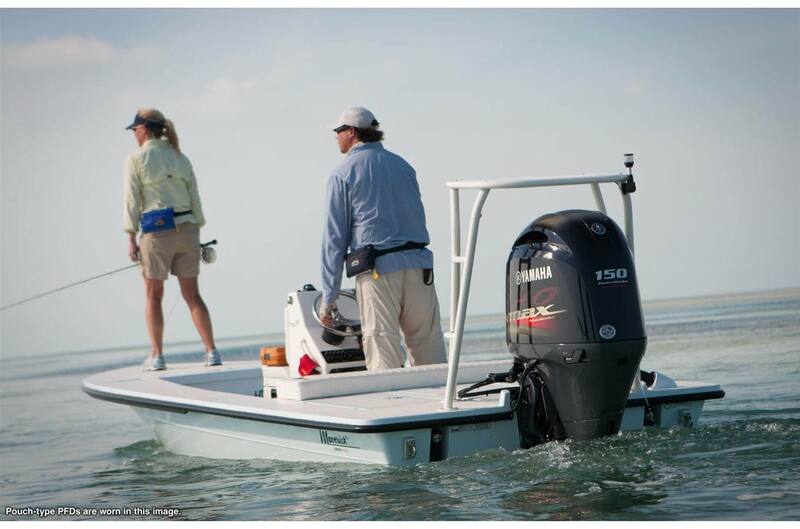 Easy Rigging: The new four-stroke V MAX SHO® 150 has mechanical control for easy, convenient rigging with most bass, bay and flats boats; with a choice of analog, 6Y5 digital or Command Link® gauges. 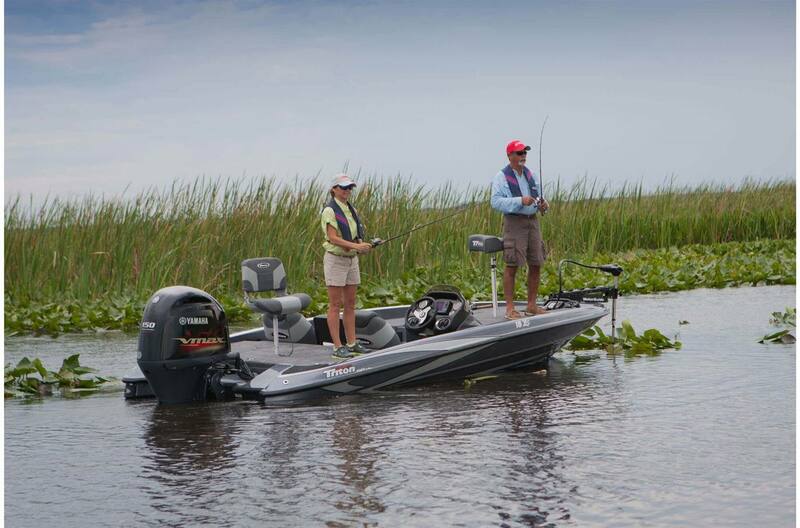 Propping Flexibility: Uses Yamaha's new V MAX SHO® Series of propellers, which now offer single-inch pitches for more "dialed in" performance. new 22-inch and 23-inch pitches available soon. 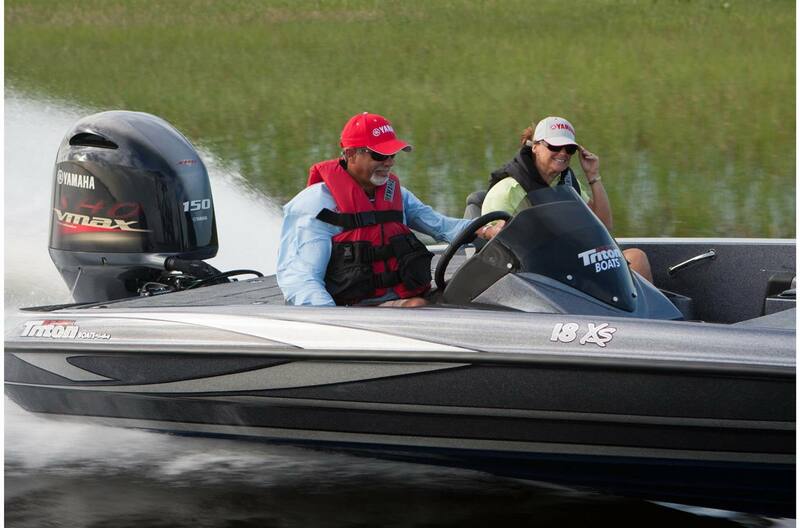 Better Charging: A powerful 50-amp alternator offers 11 percent more power than that of the VZ150 HPDI. 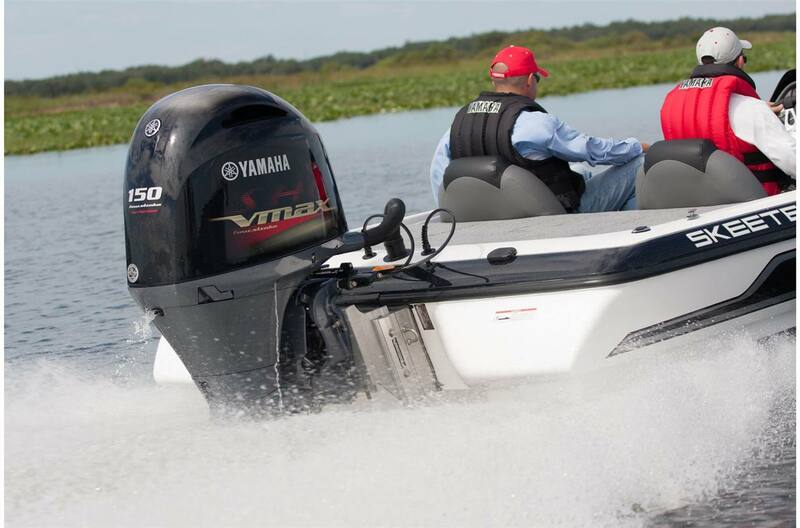 Powerful Good Looks: The V MAX SHO® looks every bit the part of V MAX,® with a special paint scheme and exhaust that sets it apart from lesser outboards. 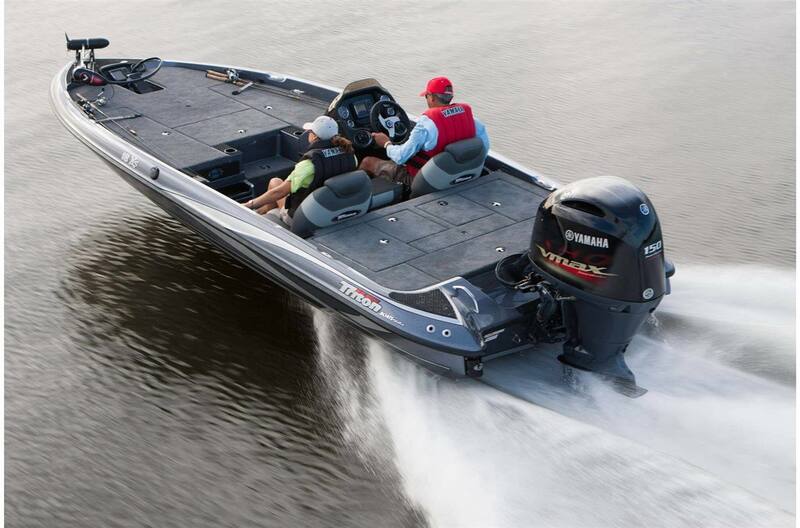 Reliability: Based on proven Yamaha four-stroke, marine-specific architecture and years of solid performance. 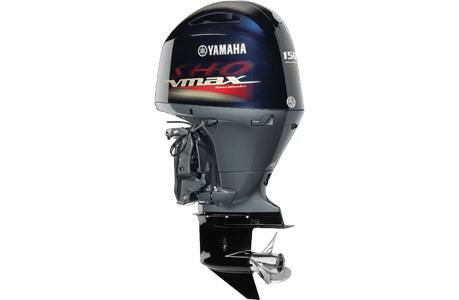 Weight: At 480 pounds,* the four-stroke V MAX SHO®150 weighs just 12 pounds more than Yamaha's two-stroke VZ150. That, alone, is amazing. 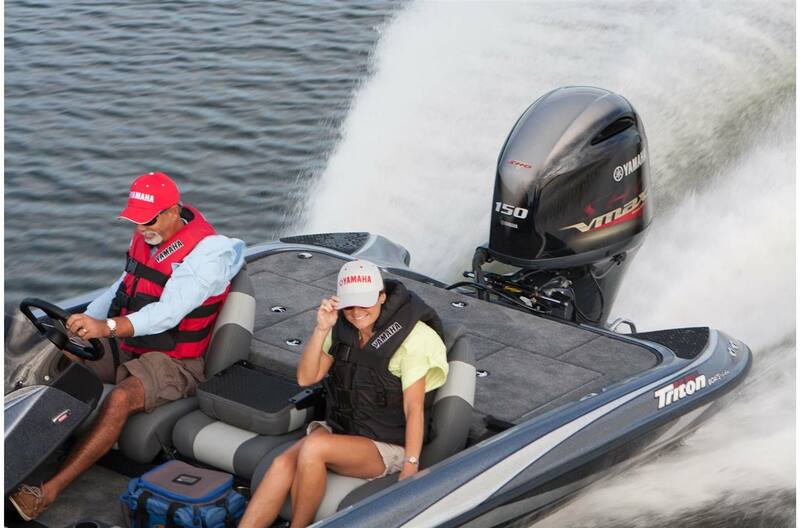 Once you consider the weight of the oil tank, the V MAX SHO®150 weighs about the same on the boat as the VZ150. 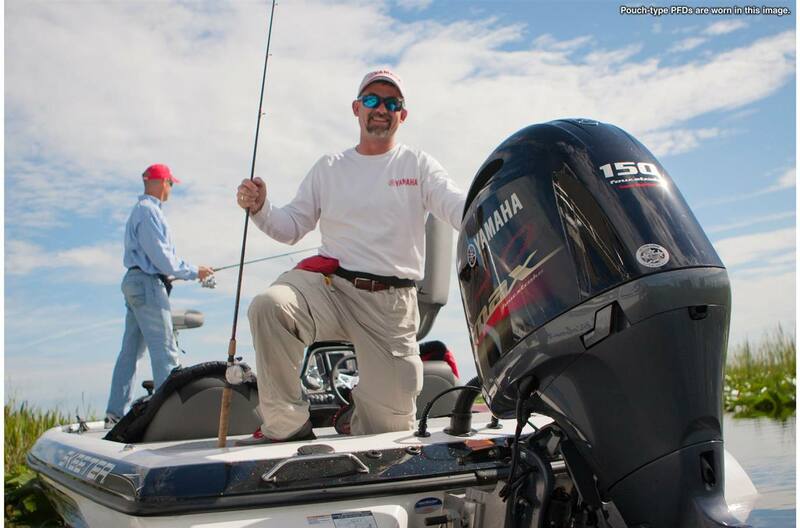 What's more, not having an oil tank frees up space in the boat. 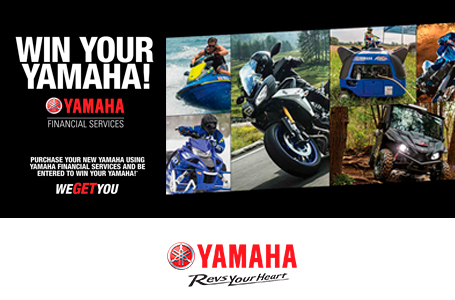 Yamaha's Variable Camshaft Timing: System advances and retards the angle of the intake camshaft to dramatically increase power and throttle response in the low- and mid-rpm ranges. 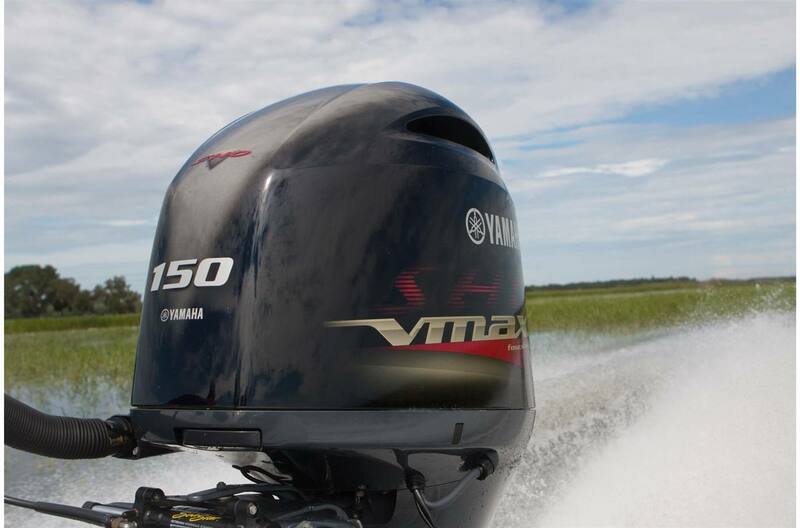 This feature helps the four-stroke V MAX SHO® 150 generate the kind of performance that you expect from traditional two-stroke outboards.